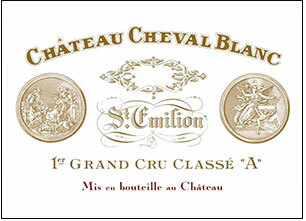 I was surprised by how soft, opulent, even voluptuous the 2001 Cheval Blanc performed out of bottle as this estate's wines tend to shut down when young. Its deep ruby/purple color was accompanied by sweet aromas of cranberries, black currants, menthol, Asian spices, and underbrush. This seductive blend of 60% Merlot and 40% Cabernet Franc reveals a lush sweetness, medium body, and ripe, well-integrated tannin. A racy effort filled with personality, it should be at its finest between 2007-2018.